ADDISON, IL. 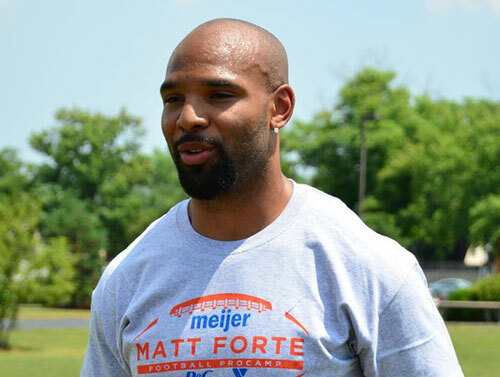 — Chicago All-Pro Running Back Matt Forte recently hosted the Citi Matt Forte Football ProCamp in partnership with Jewel-Osco and presented by SunnyD. The ProCamp took place on Saturday and Sunday June 13th-June 14th at Addison Trail High School located at 213 N Lombard Rd in Addison, IL Source: Procamps. 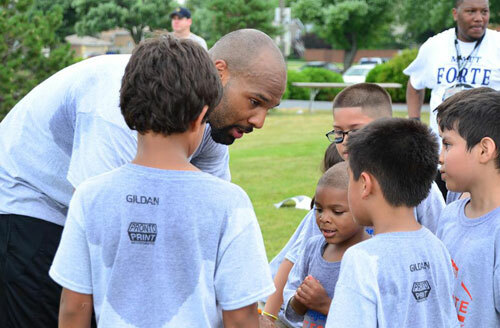 Throughout the camp Matt Forte offered tips and instruction, highlighting the finer points of football. Participants experienced various stations specializing in fundamental football skills and will participate in touch football games. Participants were placed in small groups according to age to ensure that each child got maximum instruction. Matt Forte is an NFL All-Pro running back for the Chicago Bears. He played college football for Tulane University, and was drafted by the Chicago Bears in the second round of the 2008 NFL Draft. In week 3 of the 2013 season against the Pittsburgh Steelers, Forte had a 55-yard run, and the following week against the Detroit Lions, he had a 53-yard run, making him the first Bears running back to record runs of 50+ yards in back-to-back games since Raymont Harris in 1997. For booking Matt Forte as your next speaker or to book Matt Forte for a personal appearance or product endorsement, contact Sports Speakers 360 for speaker fees and booking agent details.